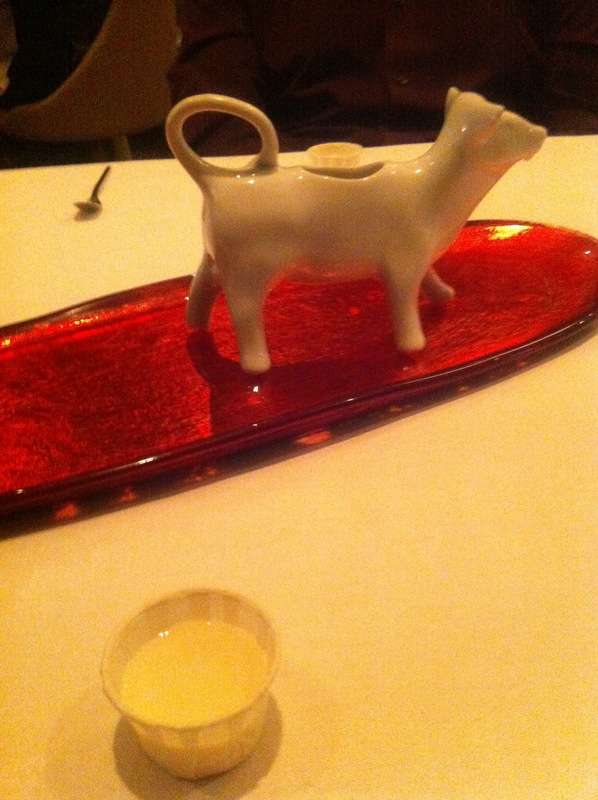 My Christmas gift this year was being treated to dinner in a fancy restaurant – a gift I couldn’t wait to receive! 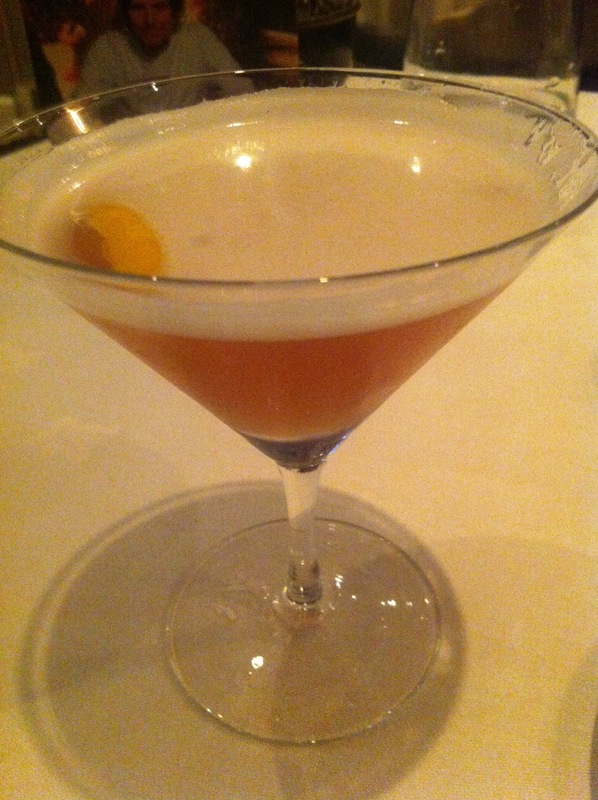 We looked into several restaurants, but one in particular stood out, and that is 21212. 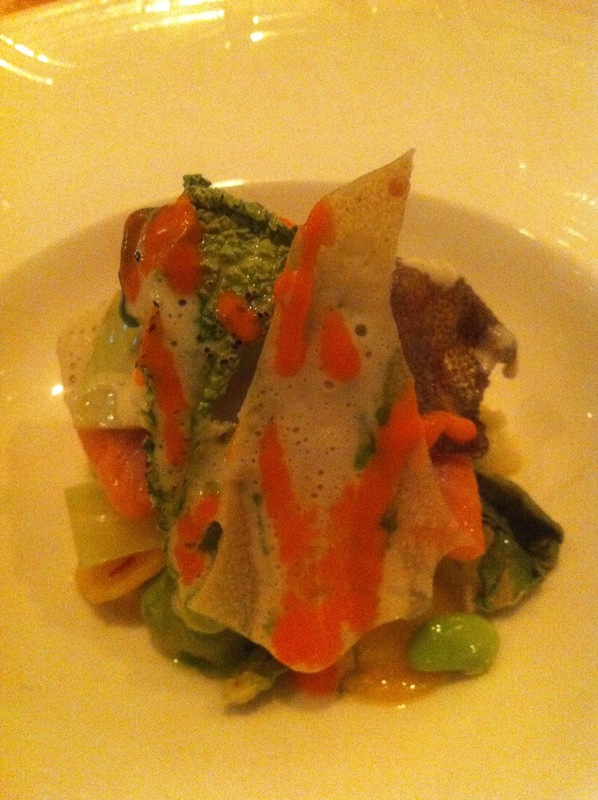 The name is derived from the structure of the menu; for each of the five courses you either have 1 or 2 options. 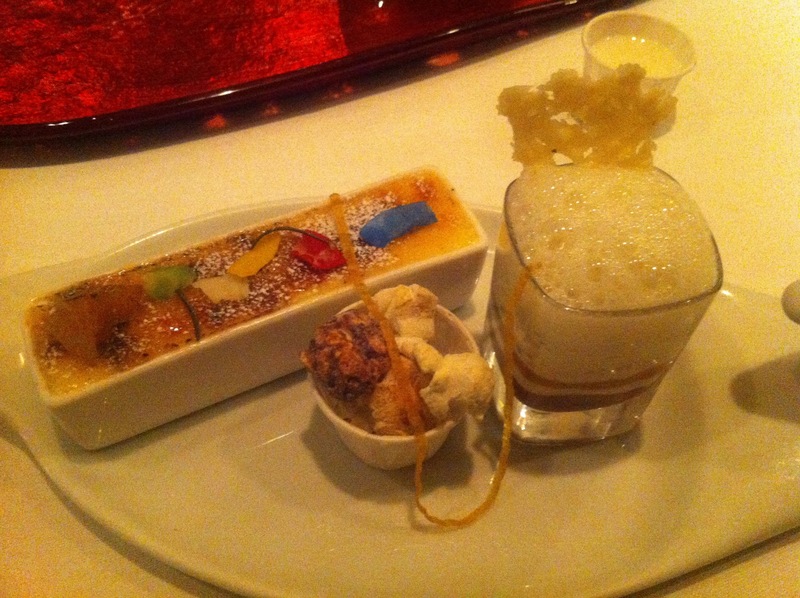 You have 2 options for your starter, 1 soup, 2 main courses, 1 cheese selection and 2 desserts. Simple! 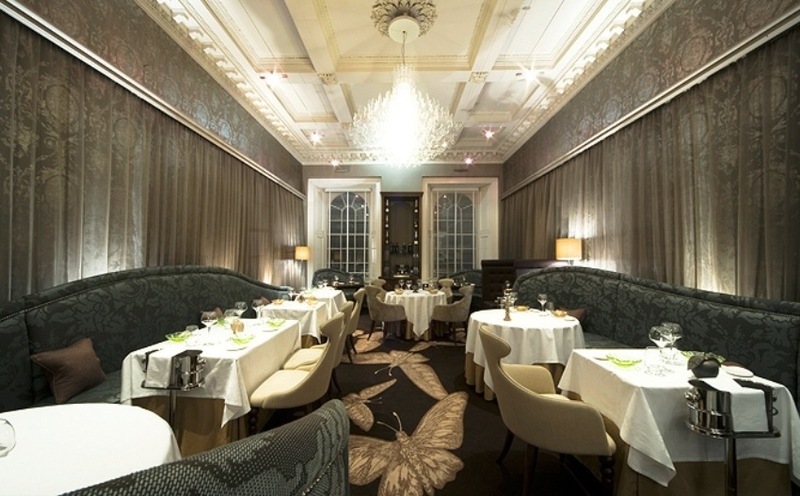 The restaurant received a Michelin Star within 8 months of opening, and by looking on their website you’ll see the masses of other awards they have achieved…and with good reason! This is the restaurant. It’s stunningly decorated – decorated like a boudoir almost. The walls are hidden by silky curtains and the chandelier in the centre of the room gives the room a patterned glow. The seats are a massive upholstered booth that stretches to the end of the room, adorned with cushions to break up seating spaces. When we arrived it was quiet – too quiet – and we were worried about being too loud. You can see the kitchen from the restaurant and the chefs are working away – quiet, intricate and composed. It busied up quickly and there was conversation in the air. I relaxed a bit then! The staff are very attentive and so welcoming. I was having a chat with a lovely woman at the end…turned out to be the co-owner! As well as warm, I found everyone very knowledgable and they gave us very clear breakdowns on the food we were being served, as there were several components to each dish. 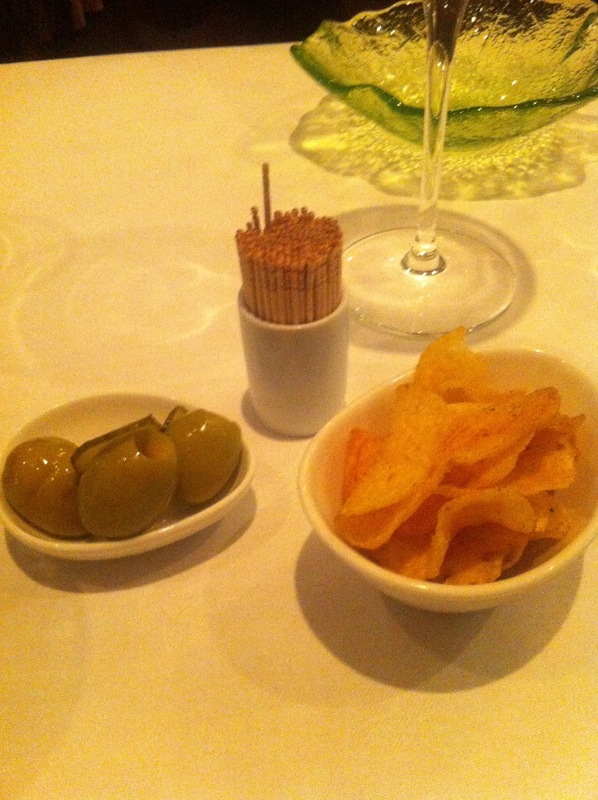 We started out journey with some smokey crisps and juicy queen olives. We surveyed the menu. We agonised. To describe this would be impossible. there were so many different element s to it! Slow cooked beef, ratatouille, parsnips, apricots and feta, egg omelette, Brazil nuts, cucumber and yoghurt, anchovy, garlic and rosemary. It was also served with a little tub of aubergine purée. I’m not going to even try to describe it because there are just no words. 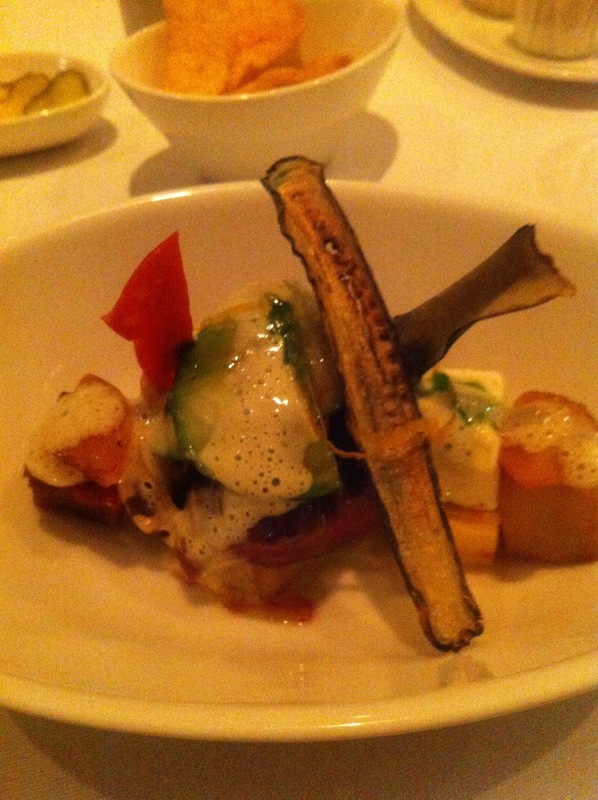 The beef was rare, thinly cut and just ridiculously tender. I was in awe eating this. Read the ingredients. Imagine them together. It was incredible! Below is the aubergine purée served with it. 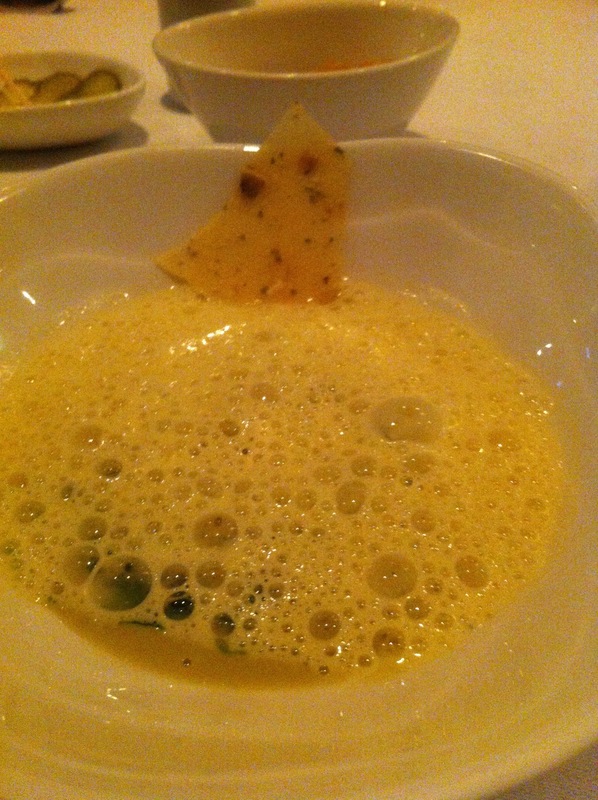 This vegetable soup was unlike any soup I’ve ever tasted. It was delicious! 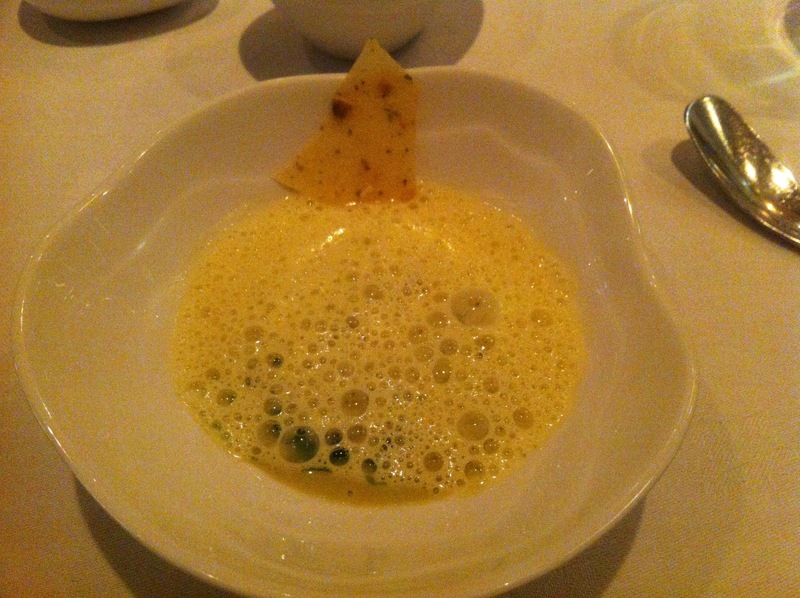 It was formed over three layers: vegetable purée, a layer of vegetables and then peas pudding on top with a decorative froth. The portions are tiny, rightly so, but with the soup I genuinely wish there was at least double. The absolutely mouth watering flavour just blows you away and you feel addicted to it! Delicate, oven baked pink trout fillets, smoked pasta and cauliflower cheese bake, celery, sprouts, white cabbage and pak choi. Served with Dijon mustard mayonnaise, sesame seeds and pine nuts. 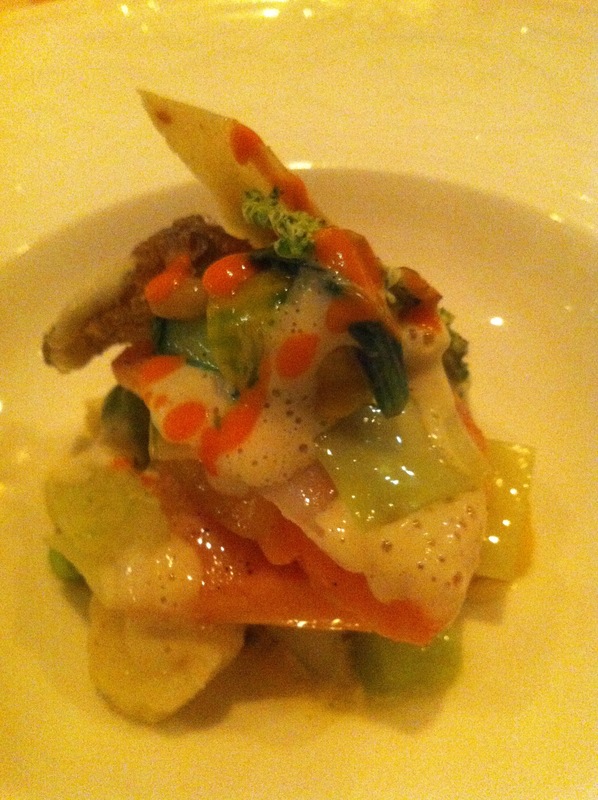 I absolutely love cheese, especially smoked cheese and added to cauliflower and delicate, rare trout. Oh it was just lovely! 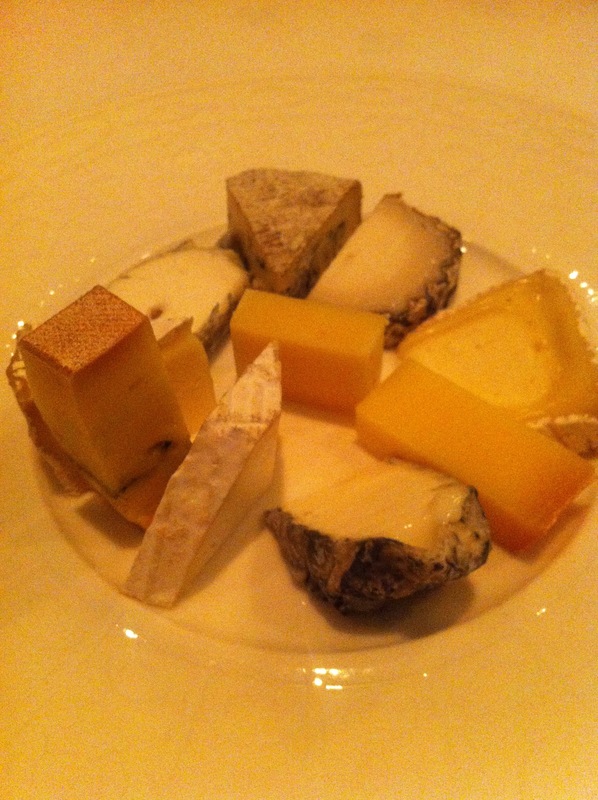 Hansi, Langres, Sainte Maure, Ticklemore, Montenegro and Rocamadour. The waiter explained each cheese and it was really interesting to listen to. He knew and seemed interested in what he was talking about and gave us trivia about where and how each was made! 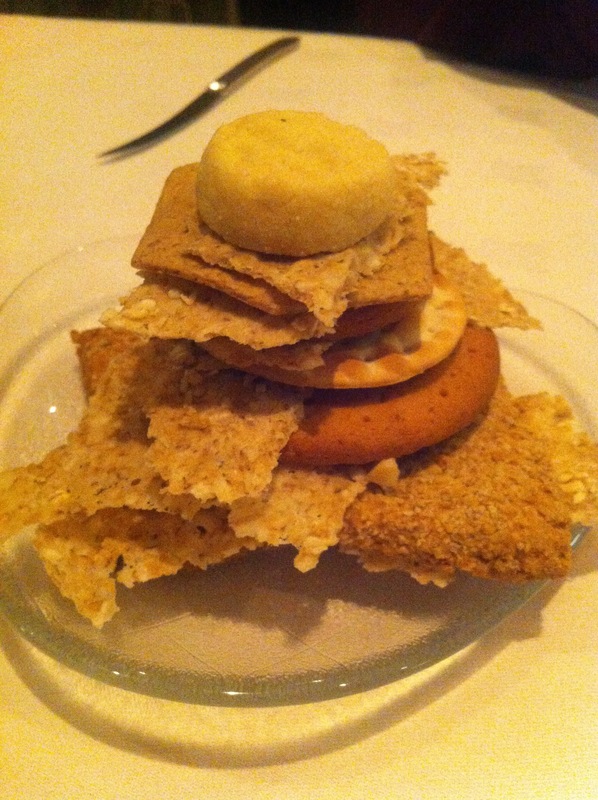 The stack of biscuits and crackers gave variety and atop the stack was shortbread. If you’re like me and mouldy cheese isn’t your thing then you’ll love this: shortbread takes the taste away completely! Does everyone know this? I found it amazing! 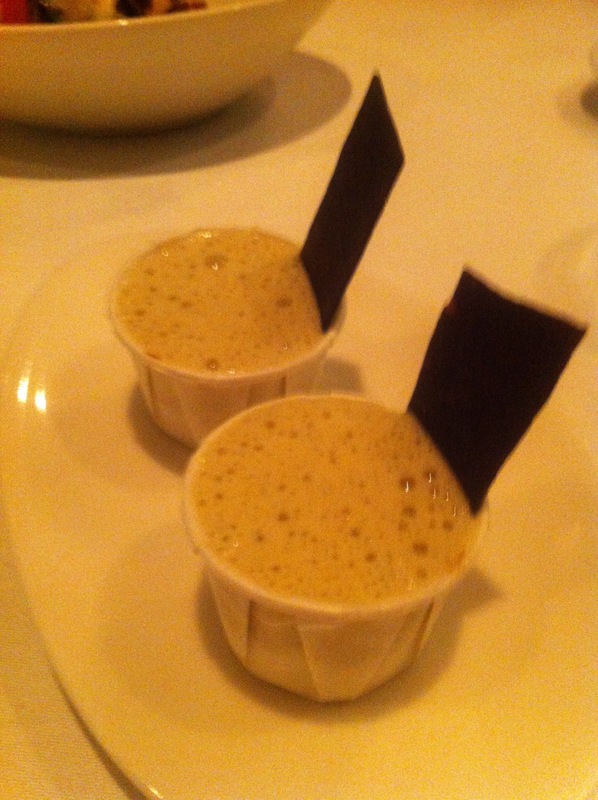 Just before dessert we were presented with some oatmeal milk shots. Glazed festive egg custard, crushed shortbread, meringue, sultanas, nutmeg, golden pears and pecans, fresh mincemeat purée, yoghurt, coconut anglaise with a hint of rosemary. 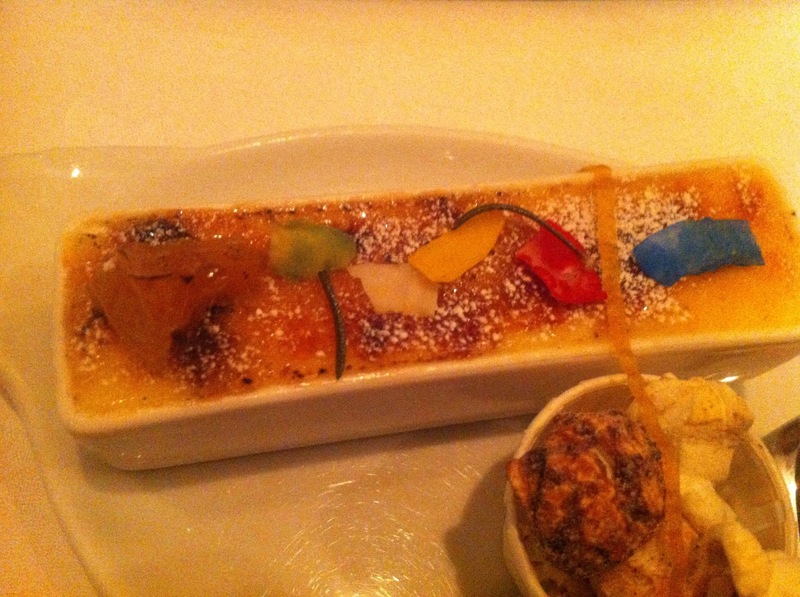 The presentation of this was something I loved – the coloured pieces placed on top of the custard matched the restaurant logo. I found it cute. The shot glass contained a layered gathering of the nutmeg and yoghurt as mincemeat with the frothy topping, and the custard was served in the rectangle dish with a lovely crispy glaze. It was served with a collection of popcorn and orange zest. I had an amazing experience here. I love food (duh) but I feel more qualified to say that I’m a ‘foodie’ now that I’ve been somewhere like this. It won’t be a regular occurrence (yet!) but I will definitely continue exploring and I would absolutely go back to 21212. 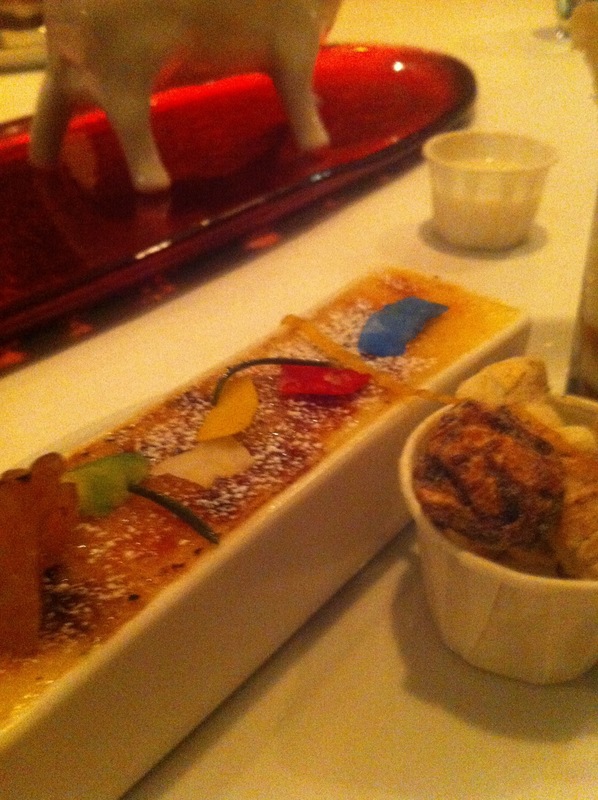 The food was spectacular but the staff made it for me! Wow, that looks amazing! Quite the atmosphere! It was a cut above anywhere else I’ve been! Absolutely perfect!